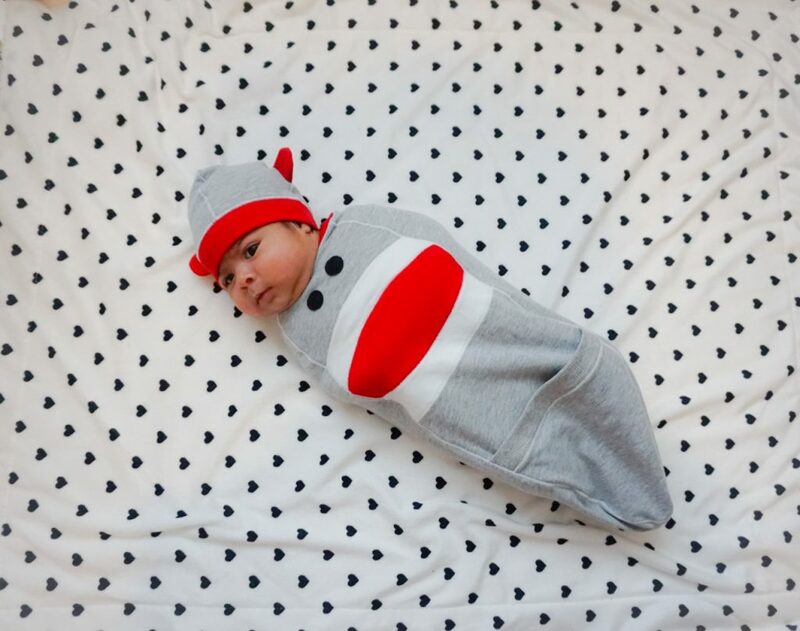 You are here: Home › Parenting › The Perfect Swaddle with Cozy Cocoon! The Perfect Swaddle with Cozy Cocoon! Little Newborns absolutely love being swaddle, they find comfortable in being cozy and tight just like in the womb. If you have a fussy newborn the Cozy Cocoon was made just for you! One thing I also find super appealing about this swaddles is their cute prints and designs. The designs are not only super cute but also make great props for picture taking.Cozy Coccon allows moms and dads to swaddle babies quickly, easily and perfectly every time! Swaddling soothes babies, helps them sleep more deeply, and makes breastfeeding easier, and calms into a good nights sleep. Cozy Cocoon, combines fashion with function. 1. Slip-On Design. 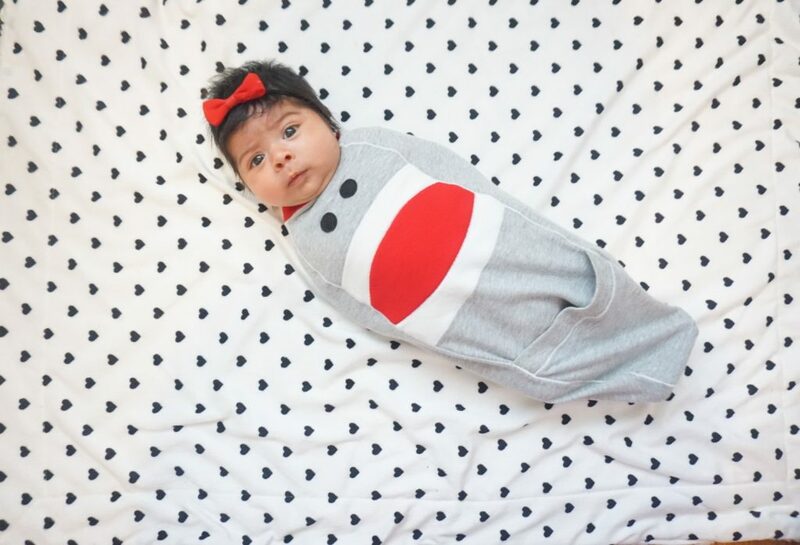 Cozy Cocoon’s unique design makes swaddling super fast and super easy: Simply slip it onto baby like a sock! 2.No Unraveling. Those big, square swaddles are intimidating for moms and dads … and hard to use. It’s like doing origami on a baby … with the baby wriggling the whole time! Plus, traditional swaddles unravel … unlike simple, slip-on Cozy Cocoons. 3.No Irritations. Other swaddles on the market are bland-looking contraptions that wrap, strap, zip or snap into place, which can irritate babies’ sensitive skin. In contrast, Cozy Cocoons have ZERO uncomfortable zippers, snaps, straps or tags. 4.Adorable, Premium-Quality Designs. Each Cozy Cocoon is made from soft, stretchy, premium-quality fabric, and Cozy Cocoons come in a variety of super-cute designs, including Tuxedo (complete with tails! ), Little Prince, Little Princess, Tassels & Bows, Sock Monkey, Pink Dots, Chevron, Baby Blue, Baby Pink and … most dads’ favorite: the Football! 5.Easy Diaper Access. You have to remove traditional swaddles to change a baby’s diaper – but not Cozy Cocoon. Cozy Cocoon, features quick, easy Flip-Down Diaper Access™ so parents can change a diaper while their little one stays snuggly, calm and warm. 6.Safe for Developing Hips. The biggest controversy with traditional swaddles (the reason some doctors even recommend against swaddling) is that parents can swaddle their babies too tightly and restrict hip/leg movement, which can cause hip development issues … even hip dysplasia. In contrast, Cozy Cocoons allow babies to move their legs freely! 7.Matching Hat. You not only get an adorable, super easy swaddle: Every Cozy Cocoon, also comes with a matching hat to keep babies warm and cozy.